Sgt. Joe Rehyansky hails from Chattanooga, TN. He is now retired Lt. Colonel Rehyansky. 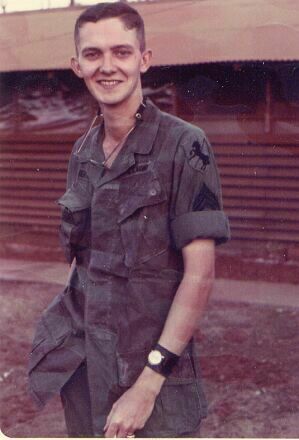 Joe was with S-1 1/11th and then Regimental S-1. He has contributed the follow photos. 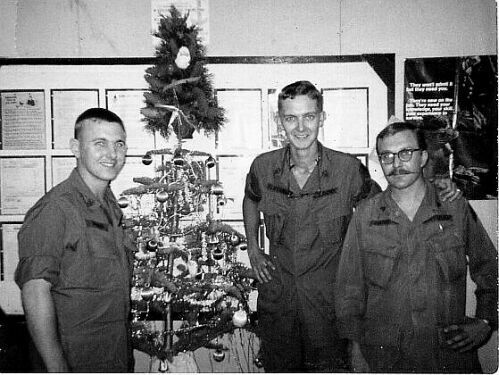 Christmas '68 in the S-1 hooch, 1/11th. Left to right: Vince Sinervo, Joe Rehyansky, Bob Long. 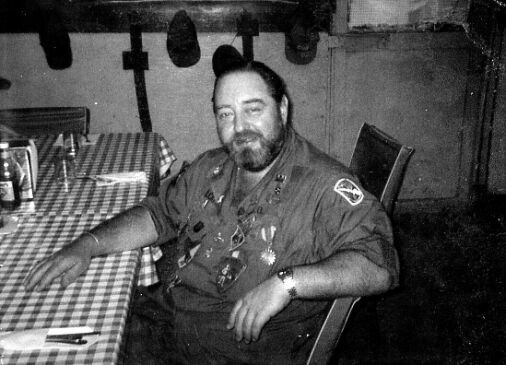 Actor Sebastian Cabot ready for lunch at the 1/11th mess hall. 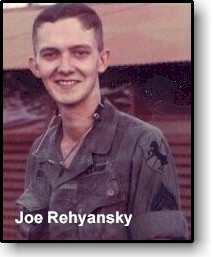 SGT Joe Rehyansky, S-1, HHT, 1/11th, spring '69. Just promoted. 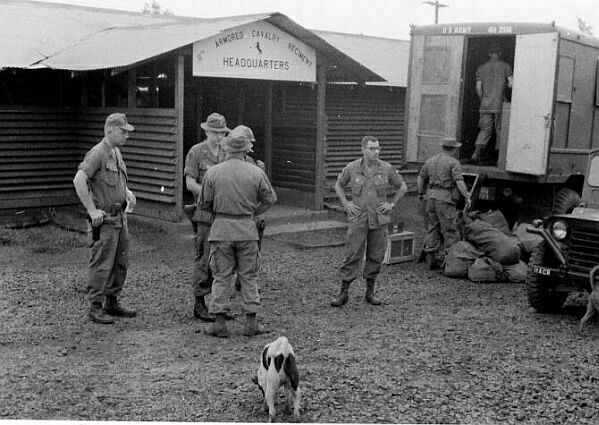 S-1, HHT 11th, readies for road march to Quan Loi. May '69. 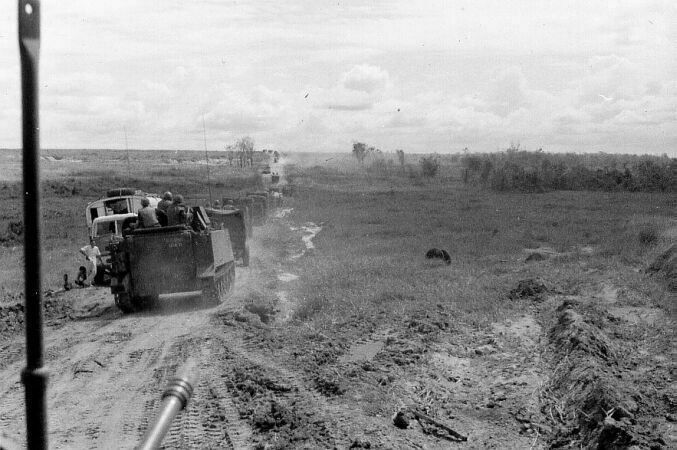 On the road again, Road march between Blackhorse and Quan Loi. May '69. Road Grime. 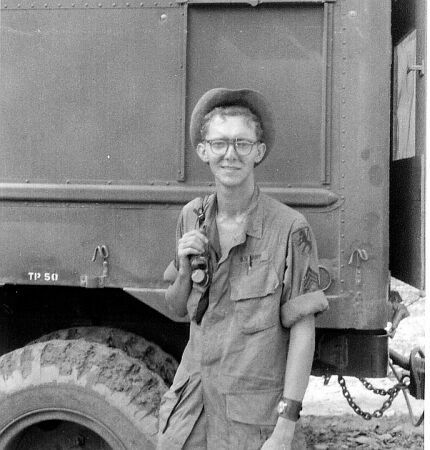 SGT Joe Rehyansky during halt at Lai Khe on the road march from Blackhorse to Quan Loi. May '69. Breakfast at Lai Khe. We stopped overnight between Blackhorse and Quan Loi. May '69. 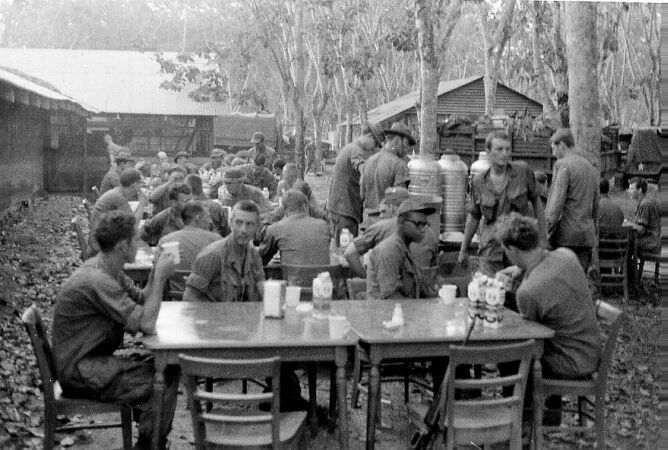 Regimental S-1 personnel in their new "office" at Quan Loi. May '69. 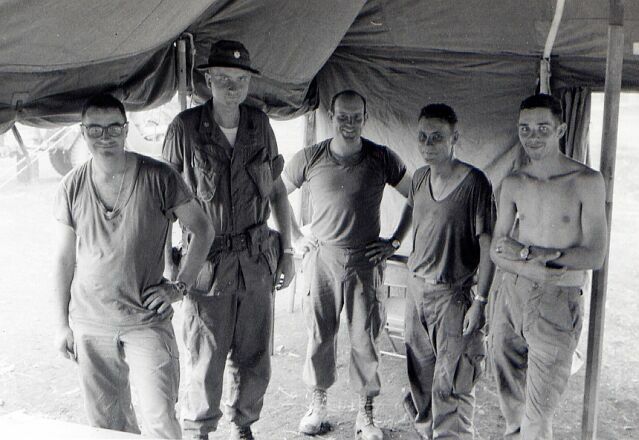 Left to right: Paul Sefrin, Paul Sifrit, Jim Veale, James Cooper, Lyle Meyer.